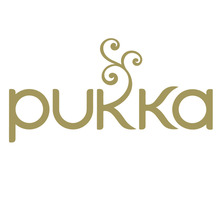 Pukka Herbs Ltd has 87 employees as at 31/8/15 and produces, markets and sells a range of functional fruit, herbal and green teas & wellbeing supplements. We cannot answer YES because we do not carry out a collective bargaining within Pukka. There are no trade unions within Pukka. There may or may not be trade union members, but no one has ever requested that Pukka recognise a trade union for collective bargaining or any other purpose. Pukka is open to any such requests should they arise. To encourage employee consultation, we have Pukka Pulse, which provides an opportunity for dialogue and exchange of views between management and team members on issues of mutual concern and interest. This includes new policies, procedures and other changes, including relocation. It aims to represent the views of every team member at Pukka in order that these may be acted upon to meet our business objectives, which include making Pukka a great place to work. Membership is made up of the People Manager, the Office Manager and at least one member from each of our Operations, Sales, Marketing and Finance teams. Members of the executive management team attend dependent upon the agenda items. Issues such as pay and terms and conditions of employment have not been raised for discussion in this forum. In addition, we have additional communication and consultation mechanisms including Tea with Tim where our founder / Executive Chairman responds to questions and concerns by our team members in an informal setting, a suggestion box, where every suggestion is discussed with Pukka Pulse and formal quarterly company days. There is no restriction on what can be discussed, questions have ranged from working environment, latest news on product launches, bonus payments and employees as advocates for the brand. We have been drawing together a Pay Policy which we expect to be published to all employees by the end of the 2015 calendar year.